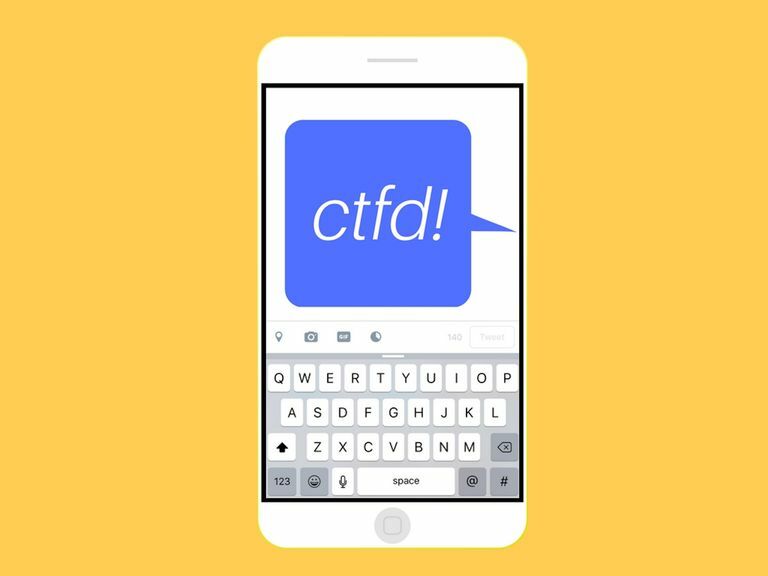 CTFD is one of those acronyms that's difficult to interpret at first glance, but if you do happen to see it anywhere online or in a text, you'll definitely want to know the vulgar message behind it! CTFD is one of the many online acronyms that contain the F-word. Even though you don't have to type the F-word out in full, the acronym itself can still be just as offensive. CTFD is an exaggerated variation of the popular phrase, "calm down." The main phrase itself is typically used as request a for someone to control their negative emotions when they seem unnecessarily agitated. Adding the F-word only emphasizes that request, making it seem more critical and demanding. Instagram user responding to a commenter: "Don't follow me if you don't like what you see!!!!" Commenter: "Ctfd just sharing my honest opinion..."
In the first scenario above, you can see how one person's outburst (the Instagram user) is interpreted as unnecessary from another person's perspective (the commenter). CTFD is used by the commenter to communicate this interpretation. Friend #1 sending a text: "Hey where are you???! Why aren't u answering my texts?? If u don't respond to this I'm coming over!!!!!" Friend #2 responding to the text: "I left my phone in a cab last night ctfd just got it back now." In this second scenario, Friend #1 falsely accuses Friend #2 of purposefully not texting them back. Friend #2 uses CTFD to give them a bit of a reality check. Friend #1 sending a text: "Omg just saw my crush holding another girl's hand today at school! I'm heartbroken!!!" Friend #2 responding to the text: "Lol ctfd you just discovered that he existed yesterday!" In this final scenario, CTFD is used in a sarcastic sense. Friend #1's heartbreak might be valid, but Friend #2 brings humor to the situation by using CTFD to remind them that the whole situation is pretty silly in the grand scheme of things. You know that the other person/people are well versed in internet slang and acronyms. Keep in mind that many people don't like to be told to calm down and doing so can make their response worse rather than better. In many cases, it's best not to say anything at all!